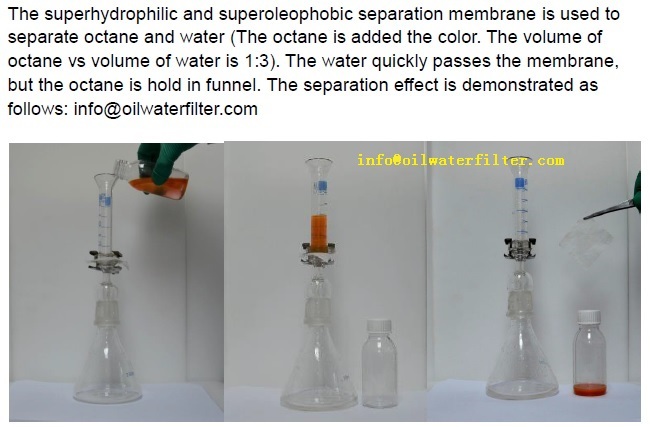 The superhydrophilic and superoleophobic separation membrane is researched and developed to separate oil, alkanes, benzene and water when oil water mixture passes it. 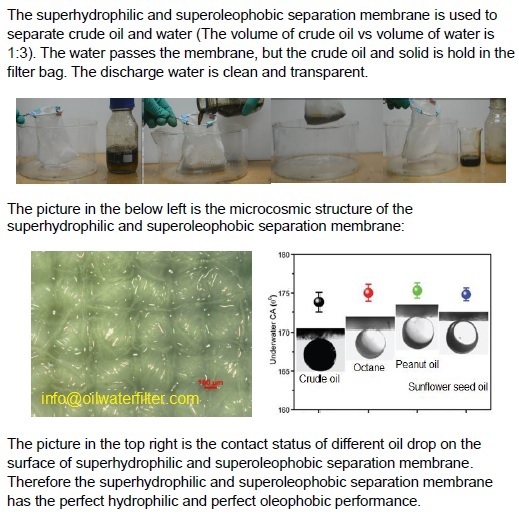 The water quickly passes the membrane, but the oil and solid is hold by the membrane. It is suitable for the situation of more water and less oil. It helps the discharge water to be in compliance with environmental laws and regulations or internal ISO 14001 Objectives and Targets. The water quickly passes the membrane, but the oil and solid is hold by the membrane. Excellent filtration effect and perfect filtration efficiency under the situation of more water and less oil. 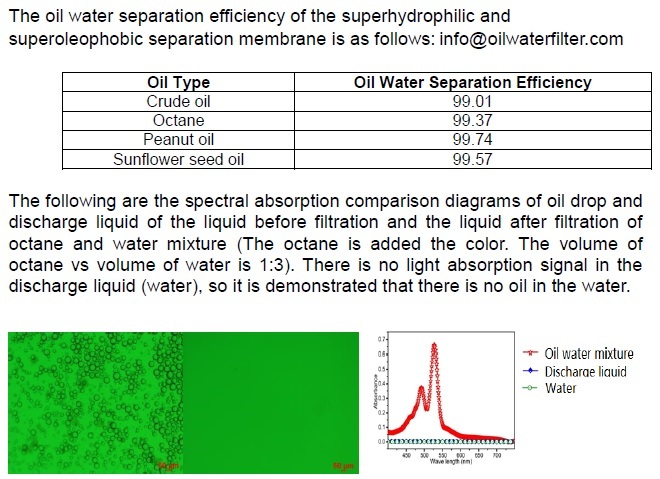 Excellent effect and perfect efficiency to separate kinds of floating oil, oil film, light oil, heavy oil, crude oil, vegetable oil, crude benzene and water. Long lifecycle, can be reused for more than 20 times after cleaning. 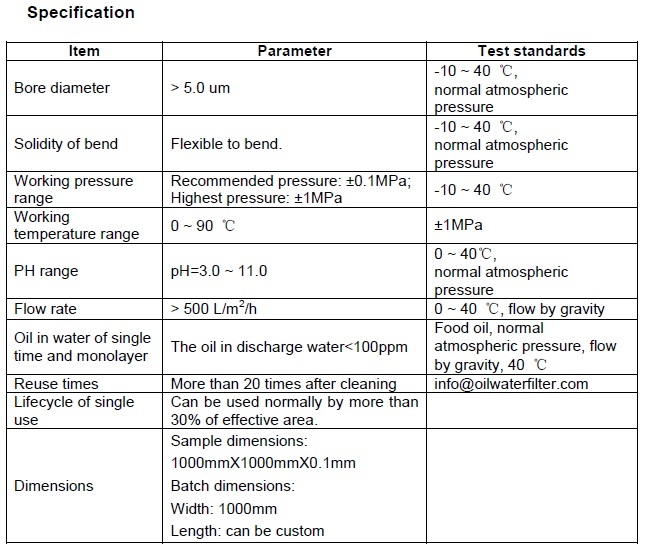 Don’t need any additive to purify water. Should be soaked in city water for more than 5 minutes before use. To deoil from air for compressor. To remove the floating oil and oil film for ballast water. 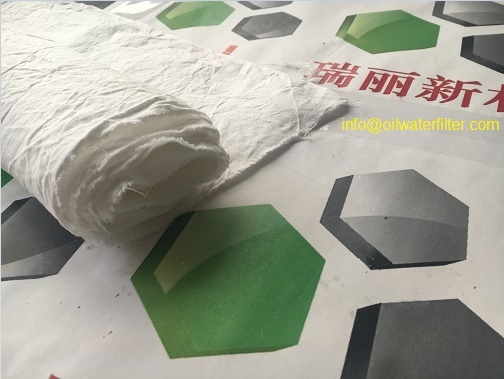 To remove the floating oil and oil film on the surface of waste water in waste water treatment plant, so that it is easier to do water treatment than before. To remove the floating oil and oil film in the waste water pool in industrial plant to meet environmental protection standards of discharge water. To remove and recover the oil film from produced water and reinjection water in crude oil exploration. To remove oil film from the used cutting fluid in machine industry.